Liverpool manager, Jurgen Klopp, has admitted that his side should not have had a penalty in their FA Cup win over Everton. 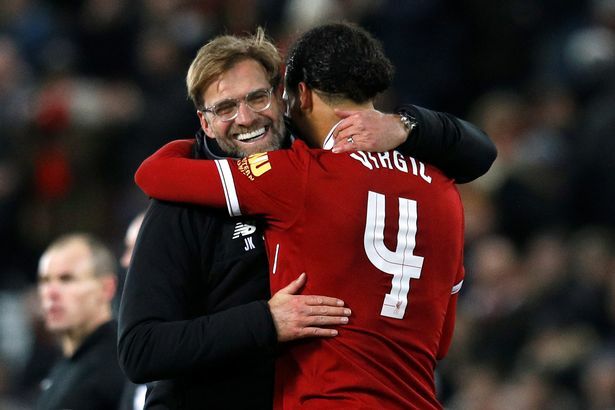 The Reds progressed to the fourth round of the competition after Virgil van Dijk headed a winner on his debut. Klopp’s men took the lead, after a penalty was awarded for Mason Holgate’s tug on Adam Lallana. Gylfi Sigurdsson then equalized for the visitors. Klopp likened the penalty incident to the one given against Dejan Lovren for his shove on Dominic Calvert-Lewin in the league meeting between the two sides last month. “It was a similar situation. The first one was no penalty in my opinion and this one wasn’t also,” Klopp said. Klopp reserved special praise for his players, after their reaction to Everton’s equaliser. “The equaliser was the worst protection I ever saw in my life. It made no sense at all,” he added. “We were all in the wrong direction. But when you make mistakes in football you have to react and we did again. “It was nice that Virgil van Dijk could score in his first game, a brilliant header. I am really happy.